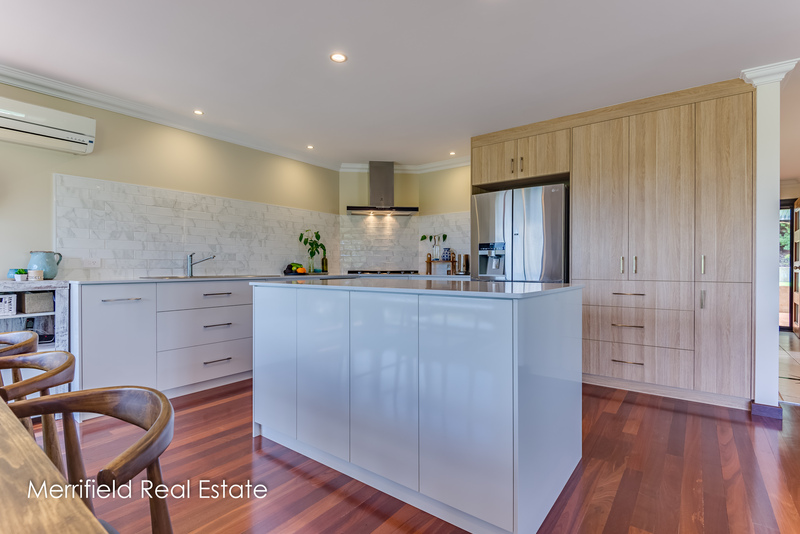 Warm, welcoming, spacious and versatile, this beautiful home rewards the owners with a lifestyle many would envy. 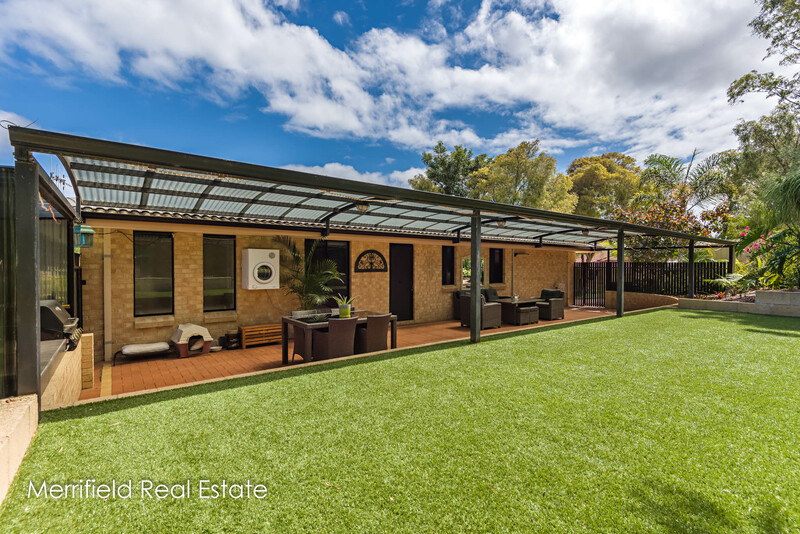 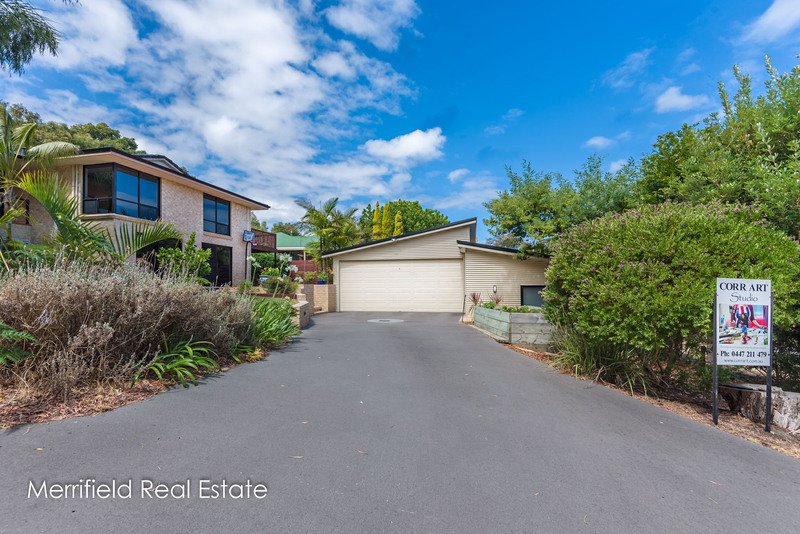 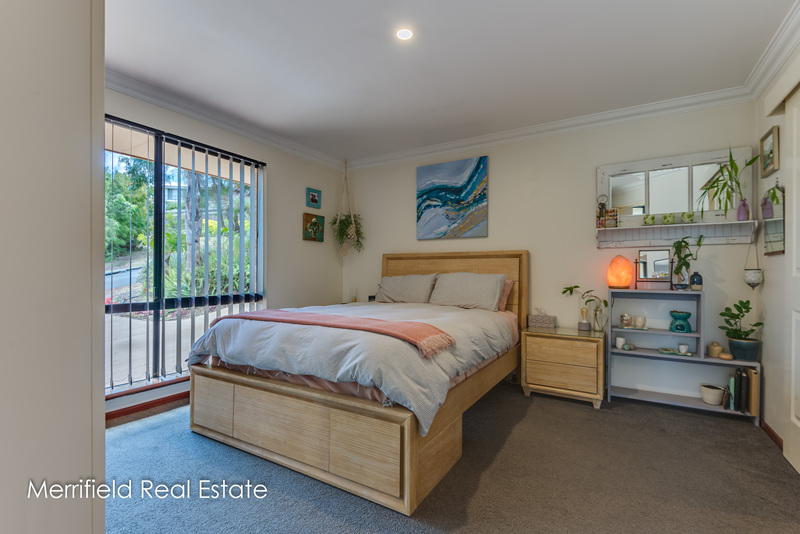 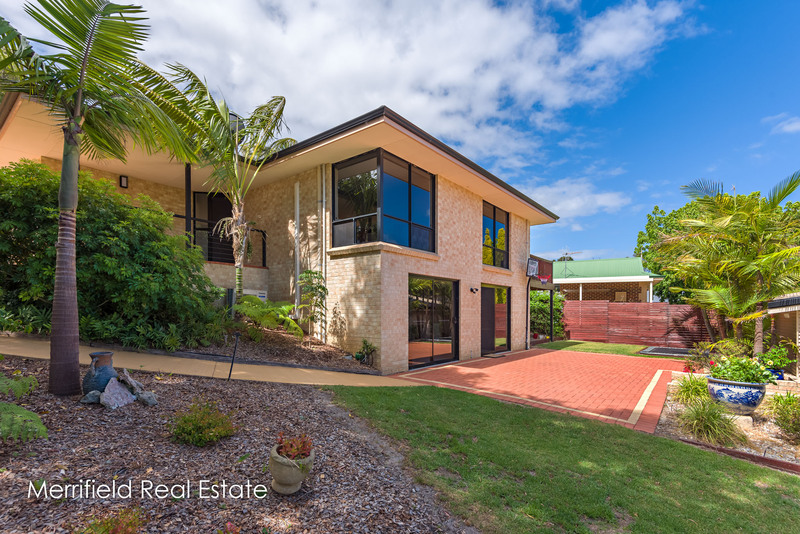 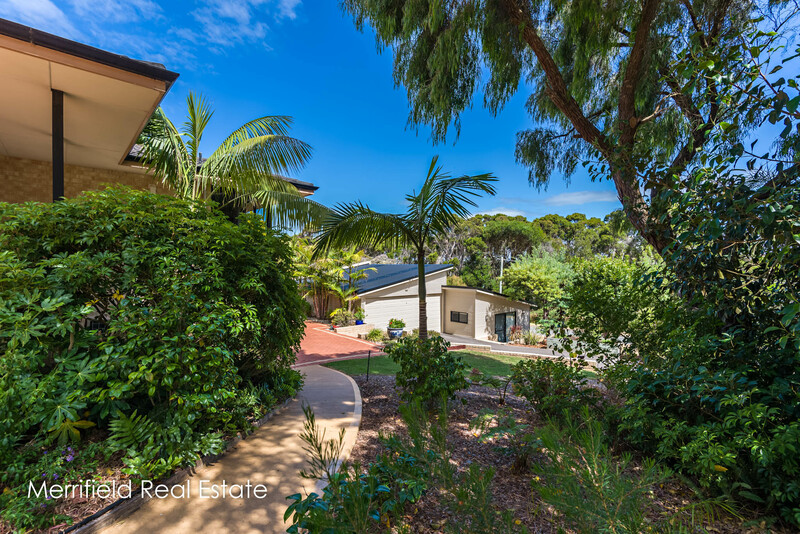 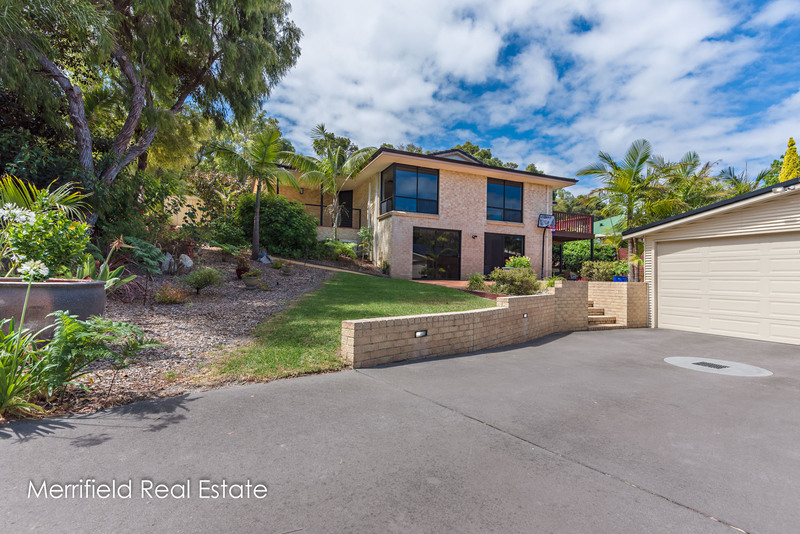 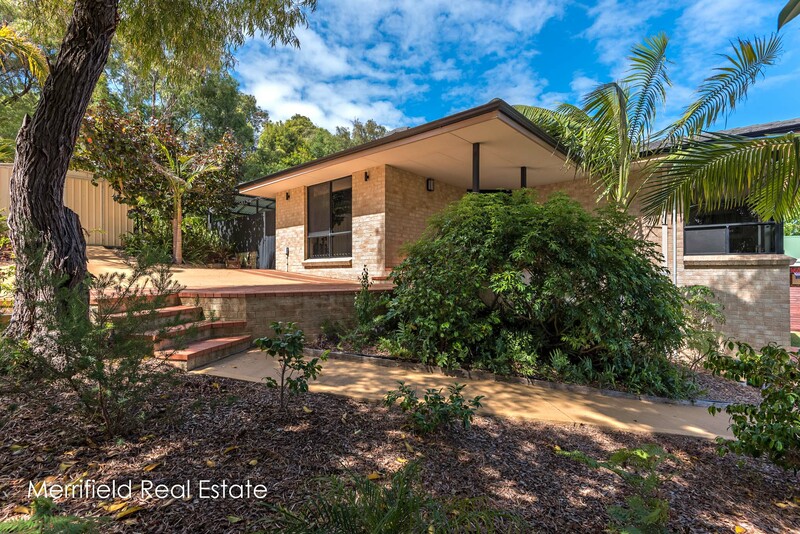 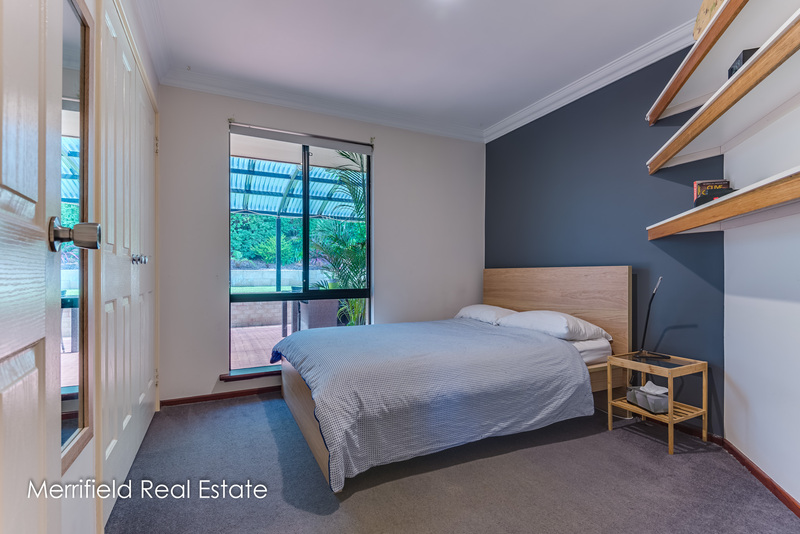 In a picturesque leafy setting on a corner block of 807sqm, the commanding main home is complemented by two freestanding Colorbond buildings – a double garage and an impressive 8m x 6m studio, air conditioned and registered for business use by the City council. 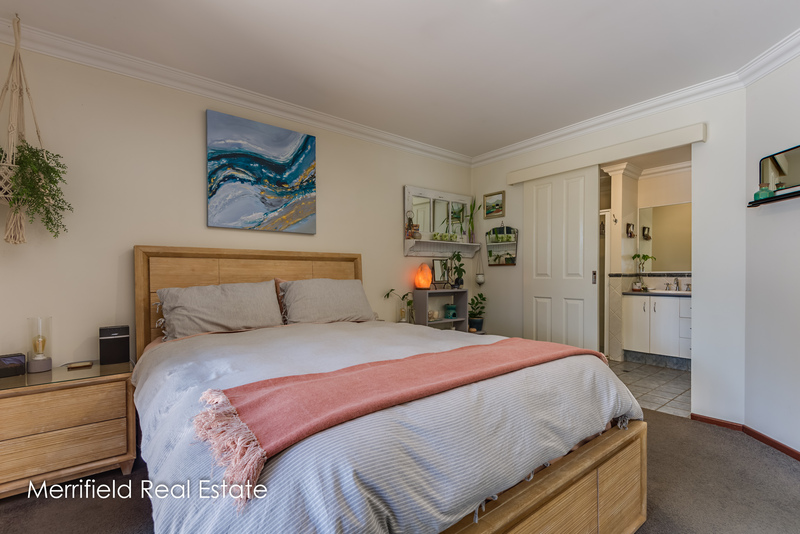 Sited away from the main house, the carpeted studio has its own access as well as a reverse cycle air conditioner, sink and toilet, fitting it for a variety of enterprises, which could include a conversion to a granny flat. 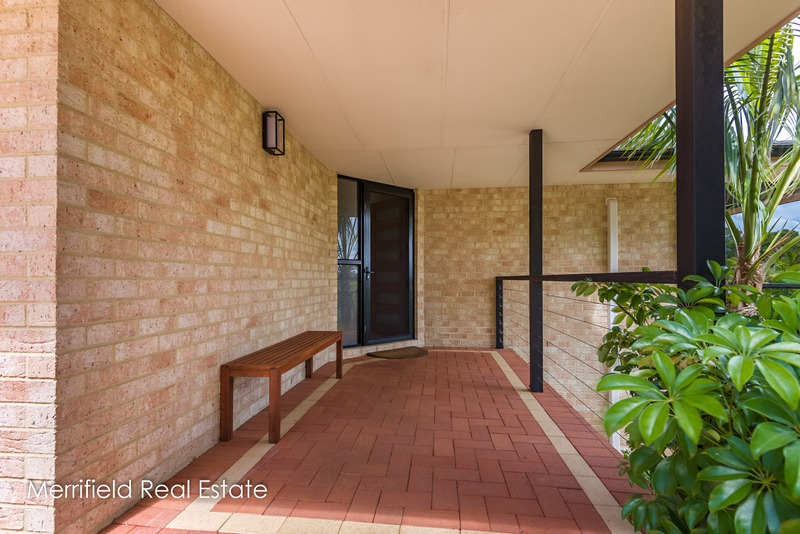 Having undergone a recent high-quality renovation, the substantial split level two-storey brick and tile home is modern and stylish. 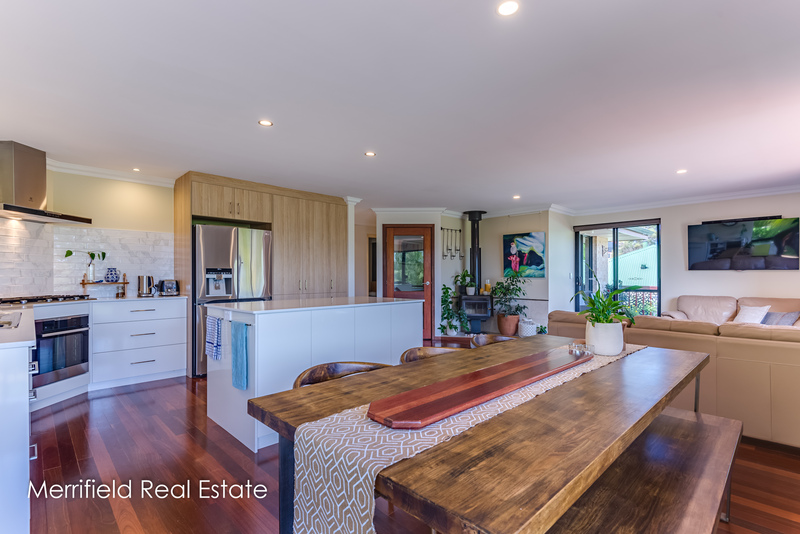 The main living area is an open space combining the lounge, dining area and impressive new kitchen fitted with classy cabinetry and stone benchtops, a dishwasher, five-burner cooktop and island bench. 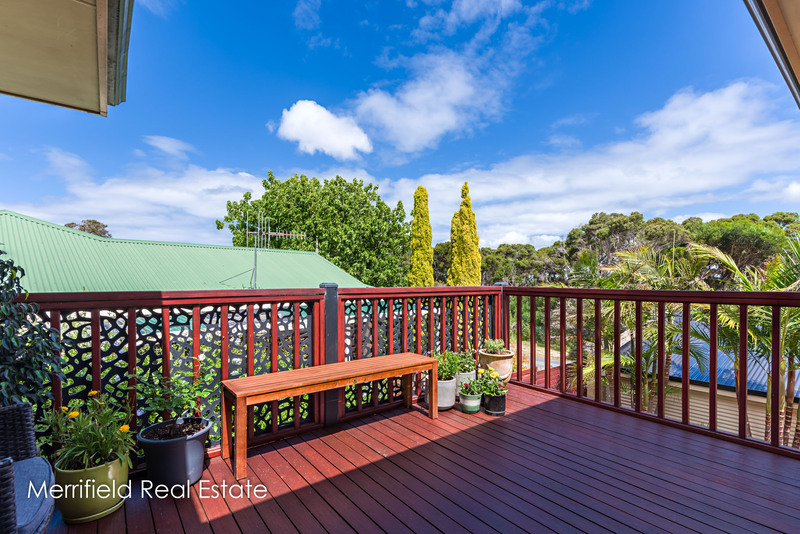 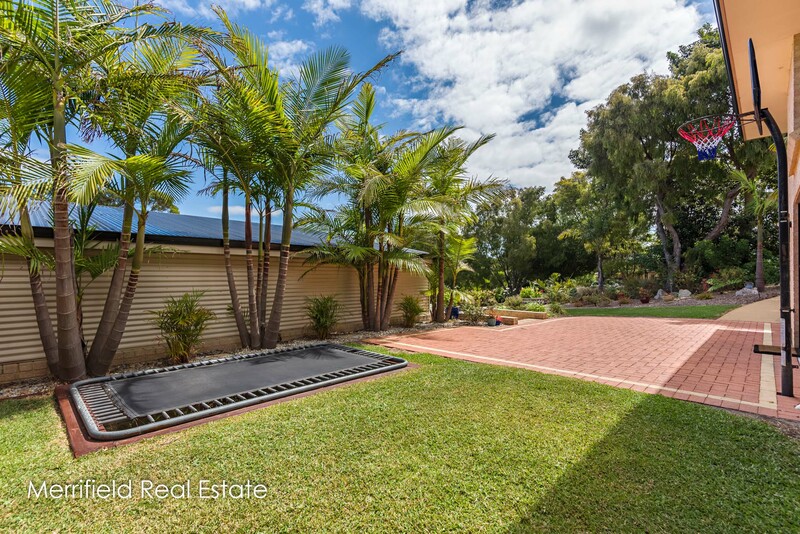 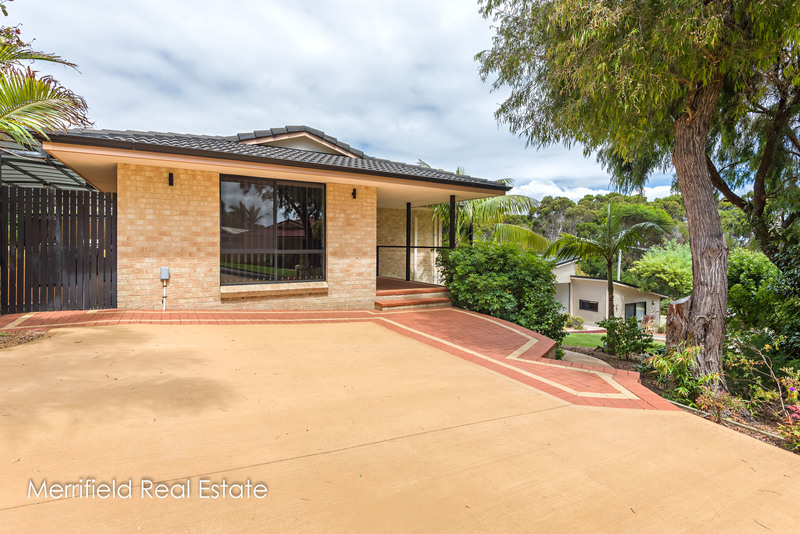 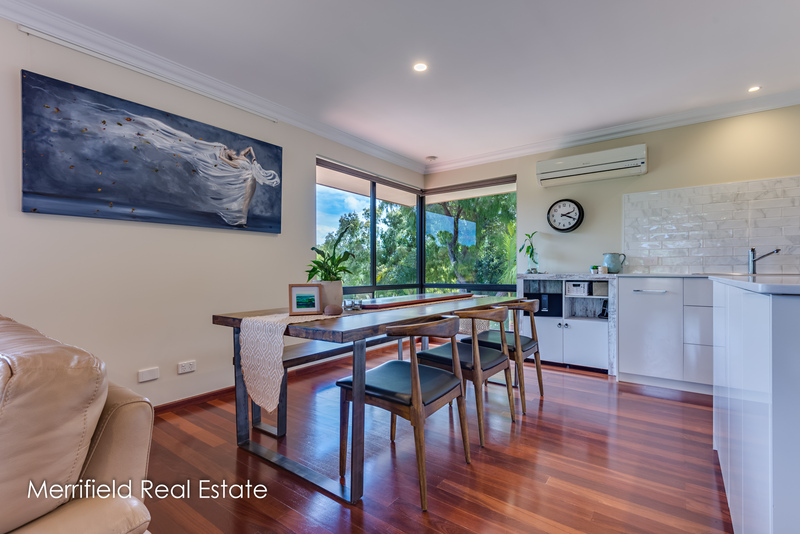 Big windows in this room let in the sun and take in a lovely outlook to bushland opposite and out towards town. 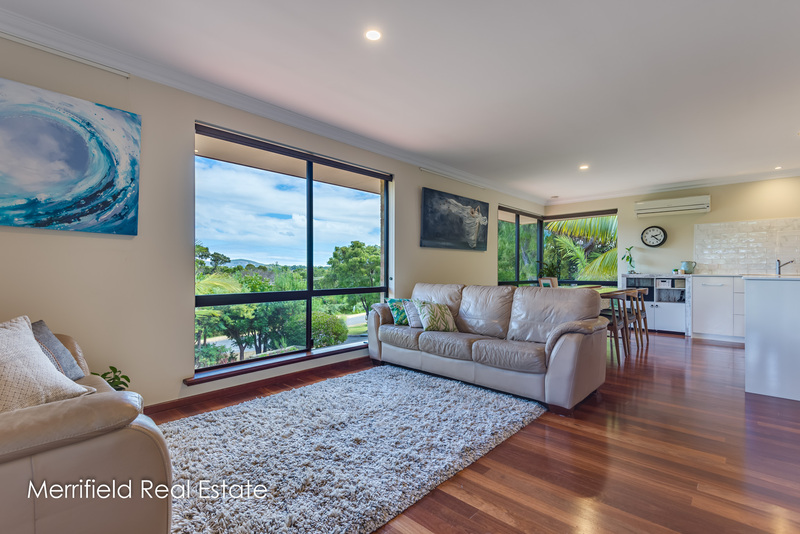 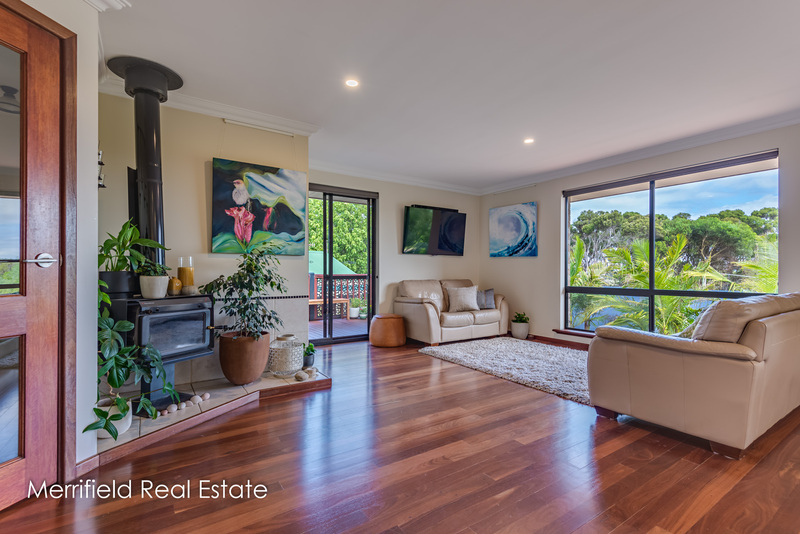 Polished jarrah floorboards add natural warmth to this inviting area, and there’s a corner wood fire & reverse cycle air conditioner as well as glass doors leading out to a sheltered deck. 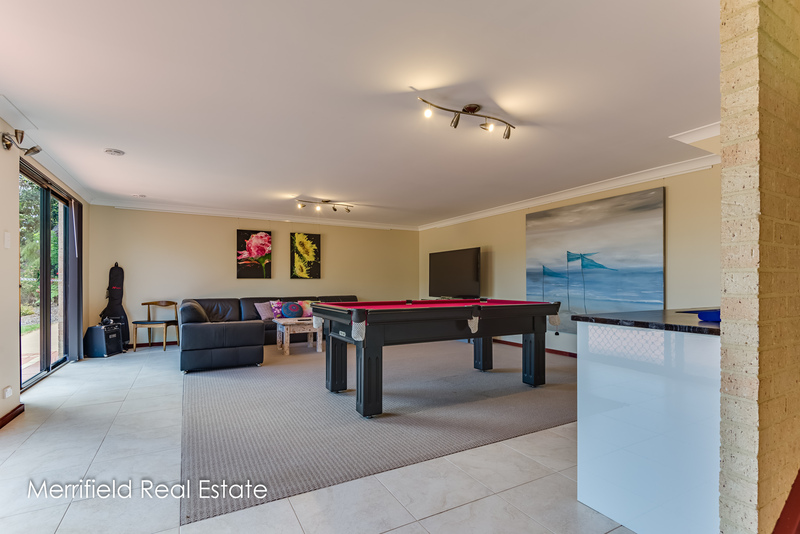 Downstairs is a fabulous big, air-conditioned games room with bespoke cabinetry and carpet, ideal as a party room or for teens’ sleepovers. 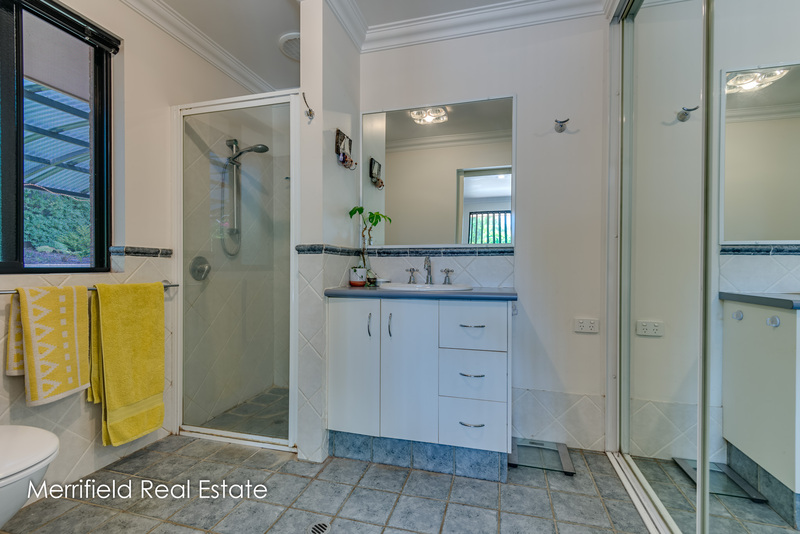 The master bedroom at the front has his-and-her built-in robes and an ensuite bathroom and toilet. 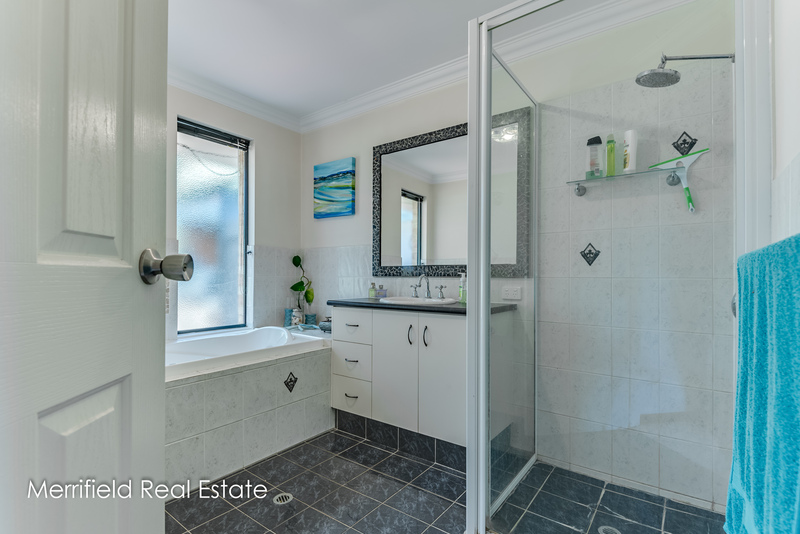 Both of the other bedrooms are carpeted with built-in robes – one is a double; the other a good-sized single – and these share a bathroom with spa bath and shower. 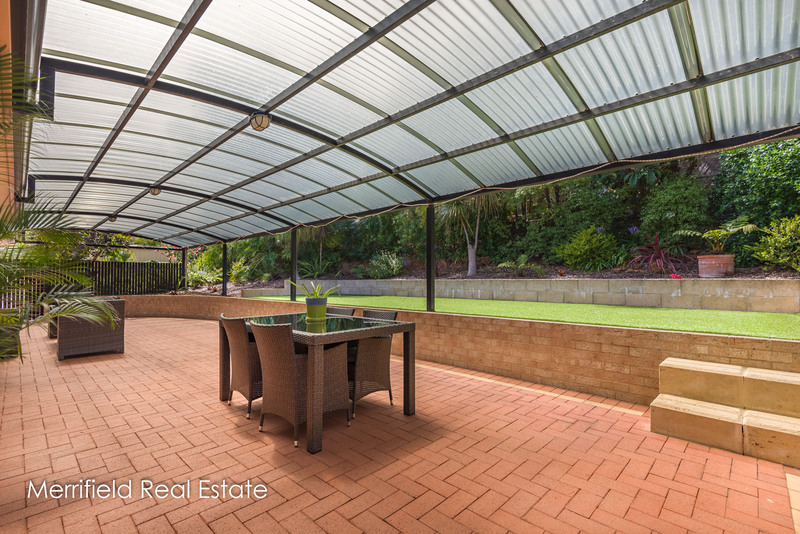 A secure back garden is perfect for young children to play. 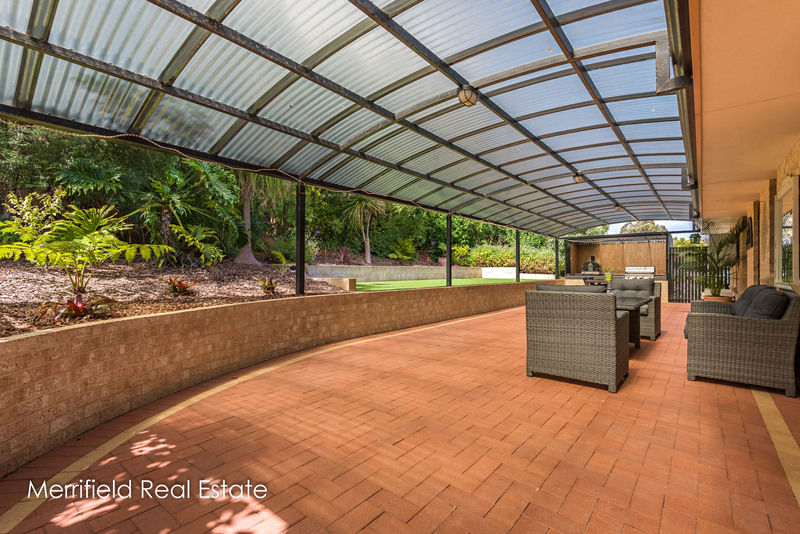 It has an area of artificial lawn and a terrific barbecue nook in an impressive dome-roofed alfresco area. 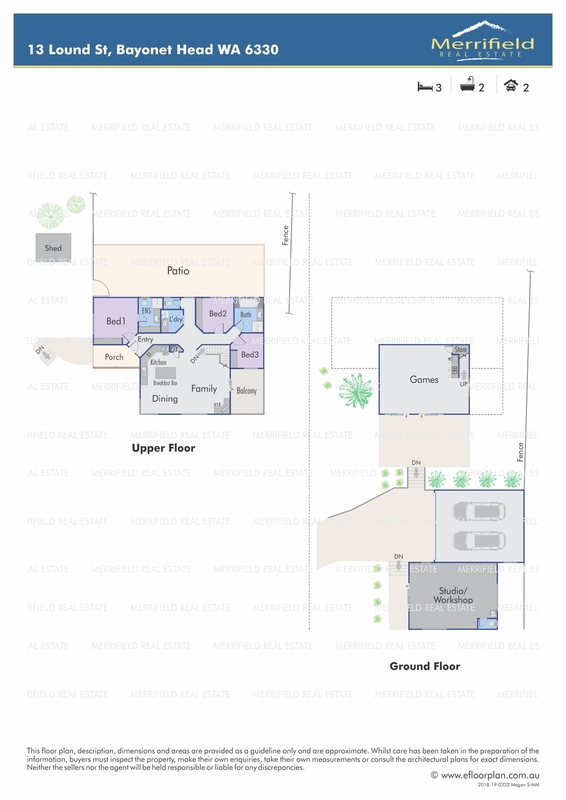 Extensive paving, parking at the main entrance, room for a caravan and a garden shed are other features. 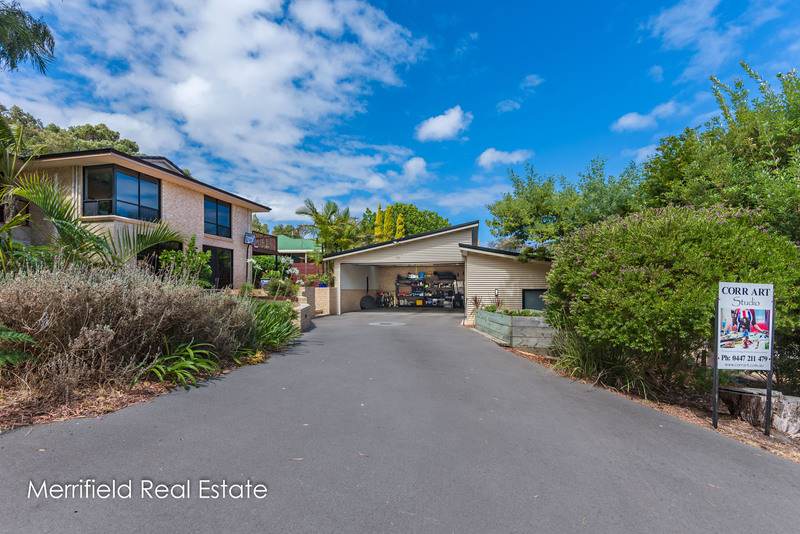 The location in a quiet street, close to schools and shops and only 10 minutes to town makes this generous property highly desirable for families and those realising the many benefits of running a home-based business without encroaching on family space. 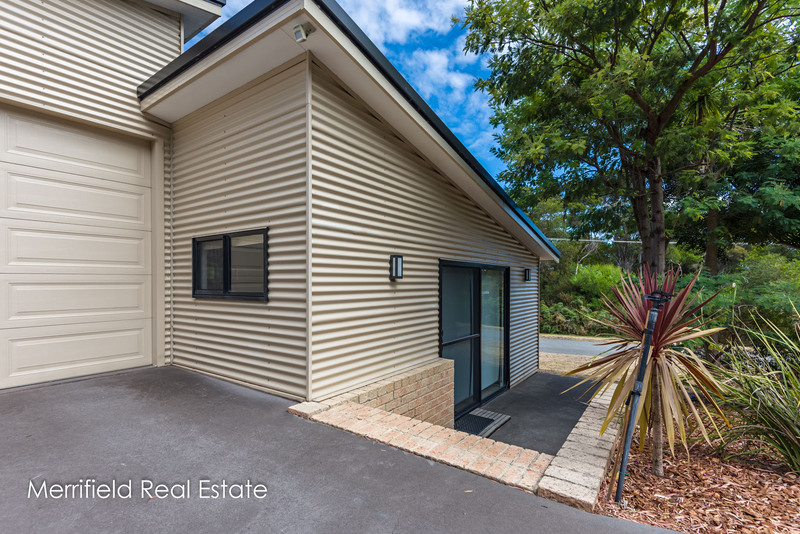 Presentation of the entire property is exemplary. 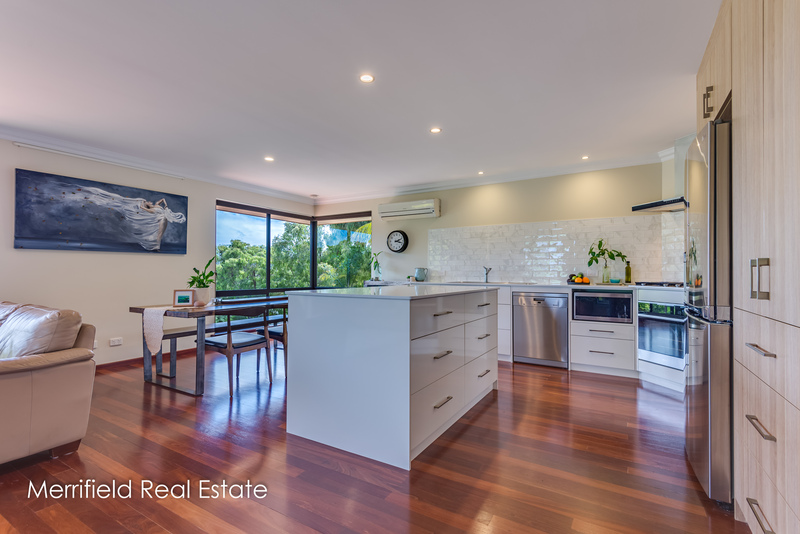 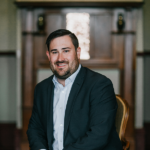 Buyers who demand quality and flexibility cannot fail to be impressed.